Lawyers face unique challenges in the job market. When the recession first hit, we heard that there were certain "safe" career fields like health care, higher education, etc. But as the recession drones on, so-called safe industries are belt-tightening and finding themselves subject to the same economics stresses facing other industries. Even the practice of law. The public perception about legal careers is generally inaccurate. People assume that a law degree guarantees a permanent job, a great income and an exciting, high-powered life fighting for justice. Not to mention a great career for those who like to argue. And the portrayal of lawyers in the media tends to support that image. When warned about this, college students planning to attend law school often say, "well I know the law isn't exactly like "Law & Order," but...." - and that's where the line between myth and reality starts to blur. Sally Kane, writing for About.com identifies some of the prevalent myths about the practice of law. The Wall Street Journal's legal blog recently wrote about the increasing isolation in the practice of law and its relationship to depression and suicide. But the legal profession was struggling prior to the recession. A survey in Legal Careers Blog pointed out growing dissatisfaction with the practice of law. Almost half of all lawyers expressed dissatisfaction with their careers and only 4 in 10 lawyers would recommend a legal career to others. People were looking to leave the practice of law and do anything else. That was 2008. And then the recession really hit. Law firms have gone bankrupt. Thousands of lawyers have been laid off. New law school graduates are finding the offers less attractive and less plentiful. A legal blog, Above The Law, tracks the legal employment situation, noting weekly layoffs. Another blog, Law Shucks, runs both a "bonus tracker" and a "layoff tracker" simultaneously pointing out the appeal and the risk of the field. Both blogs point to the challenging job market for new graduates and for mid-career lawyers laid off from what were once guaranteed-for-life jobs. All this leads to more lawyers in the general job market who, as a group, face particularly unique challenges. Employers will assume that you went to law school to be a lawyer so any other career path must be a second choice and the minute the market for lawyers returns, you'll be gone. They may also assume that you'll want a higher salary than other workers. So I'm going to be blunt here: You WERE a lawyer. Get over it-- if you want to get a job elsewhere. Let me explain. 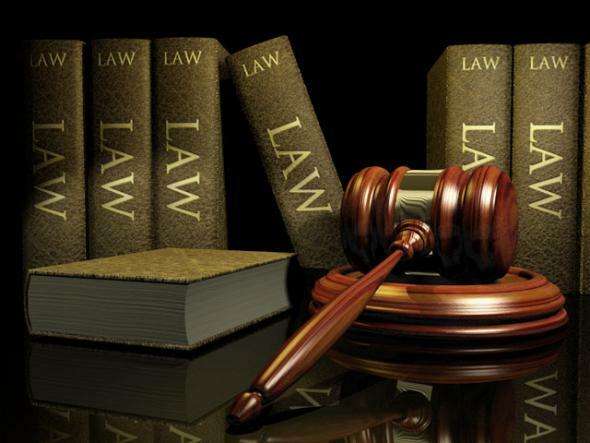 A law degree provides a great learning experience. You learned to create compelling arguments, develop writing skills, conduct legal analysis, solve problems creatively, etc. As a lawyer, you handled deadlines, dealt with crises, worked long hours, etc. All things employers might want. But you also know that the word "lawyer" comes with a lot of baggage. People can view lawyers as money-oriented, manipulative, and at worst-- litigious and always looking for the next lawsuit. No employer wants to live in fear that their employee will sue them, and hiring a lawyer for a non-legal job seems to invite that. So how do you make the transition from lawyer/law student to "working anywhere but the law"? 1. Start by analyzing your strengths and interests. What other career fields have you considered? Where would you like to apply your talents? Some career fields lend themselves more naturally to a background in law, including: academic administration, banking/finance, consulting, environmental, government, human resources, intellectual property, journalism, immigration, labor relations, publishing, real estate, and tax preparation. How would your legal background make you a better employee in your newly-chosen field? 2. Focus on the field you're going into-- not where you've been. Research the career fields you're considering. Talk to people in the field. Join professional organizations related to your new field to demonstrate a sincere interest. Develop an understanding of what they do on a day-to-day basis. Determine if/where/how your legal background could contribute to the field. Remove legal jargon from your resume-- make sure it speaks to the new field you're moving into, not the old one you're leaving. 4. If people can be hired for the position without a law degree-- that's a clue that your law degree isn't the be-all and end-all and should not be the first thing you bring up. So don't have your identity bound up in being a lawyer. Your resume will indicate your legal training and background. You need to come up with other more compelling reasons for the employer to hire you in your cover letter. For instance, don't start your cover letter with, "As an attorney..." or waste a paragraph detailing your legal acumen when the employer doesn't care. 5. Know why an employer might have concerns about hiring a lawyer. Don't waste energy bemoaning the lawyer jokes and complaining that it's not "fair." Since you know the problem ahead of time, be ready to address concerns which might not even be voiced. Make sure employers know your skill set is greater than practicing law. And find a way to answer the unasked questions: Can you get along with people? Are you too argumentative? Are you overly competitive? Intense? Do you have hidden agendas? Here's a particularly unique challenge for lawyers: they think differently. Let's put that another way: they are pessimists-- it's what makes them successful lawyers. Unfortunately, the law is one of the only career fields that rewards pessimistic thinking: optimists do better in virtually every other career field. Read the link to learn more about this. The job market is tough for everyone. Don't make it harder for yourself by making the mistakes other lawyers make when they try to move out of their fields. I met a floral arranger recently whose business card had "JD" after her name. I asked her why she put the degree on her card. She said, "Well I earned it-- I might as well flaunt it." She has a point, but she also confessed that she went into business for herself because employers weren't "open-minded enough" to hire a former lawyer. And it made me wonder: was it the employers who weren't open-minded or was she just too attached to her degree? Finally, If you're thinking of going to law school but already know that you don't want to practice as a lawyer, think long and hard and make sure you know your reasons. The law school's career center may not have as many opportunities for you-- and you may find pressure to pursue a traditional path. Many law students discover they have to take a higher-paying corporate or legal job just to pay off their student debt. Search out alumni who are not practicing law for possible networking or mentorships. Read the legal blogs mentioned above so you are well-informed and not unduly influenced by the media. I have several friends in the legal field who are really struggling at present. They are in the process of trying to stick it out or make a transition. Those in the second bracket are definitely experiencing the difficulties you describe. reply to "I have several friends"
I hope some of the suggestions in this post help your friends. In much of the work I've done with people transitioning to other careers I find that certain career fields seem to pose distinct challenges: teaching, military, and the law in particular. It is hard for practitioners in those fields to get out of their mindsets and into the mindset of the fields they are seeking-- even when the change is by choice. The perspective they gained from those fields can be a valuable addition to a new job-- but they have to focus on learning the new job first. If your friends have questions, suggest they post here. I'll try to answer them in a future post. That is just one point... As an unemployed ex-lawyer, I find it difficult to explain to non-lawyers all the other reasons why it is so horrible to either be a lawyer or to search for a job after leaving the law. I practiced for 10 years and was laid off during the big downturn, and I know experienced lawyers who were unemployed even before that. Personally, I don't know ANYONE who has gotten a legal job in the last two years. Large, established firms are hiring lawyers to do mindless document review under these terms: as contractors, not employees... no guaranteed hours (you might work 50 hours this week or none).. assignment can end at any time (e.g., if case settles): $17/hr. No that's not a typo - Seventeen bux and NO benefits.. some places even want you to pay for your own parking. How the hell is somebody supposed to make a $100+ student loan payment working odd hours at that rate? I had to get a doc review job a couple years back -- back then the rate was at least $25/hr. -- terrible considering all the education and student loans, but the rate is actually going DOWN? At least I have some experience -- the last few years graduating classes have huge debt ($100K+ is not uncommon).. how are they supposed to pay that off? I'm still paying on my loans 10 years out, and I had a somewhat decent paying job, even though I never made near the big bucks that the top 10% of the class made. Some people seem to be a good match for the pessimism, perfectionism, and posturing of law, but most of the lawyers I know who stay in law -- even the outwardly successful, well paid ones -- are miserable, and would do anything to get out. The sad, strange thing is that the people who went to law school were near the tops of their classes in college.. now there's a whole generation of extraordinarily bright, but un- or under-employed young people. Perhaps your publication could do a follow-up article on the future psychological impact of basically, permanent, nondischargeable debt on a group of people who used to be overachievers. Excellent comments and insight. Actually, my editors give me all the space I want-- I just try to keep posts within a reasonable attention span. So I would be pleased to research this more and write about the debt issue-- particularly in light of the characteristics of individuals who go to law school. If you haven't read it, I encourage you take a look at Daniel Pink's book "A Whole New Mind"-- it has some interesting thoughts about the thinking style needed to succeed in today's workplace. I would be curious how you see this fitting in (or not) with the mindset needed to succeed in the law. As for the mindset of attorneys, in Chapter 10 of his book "Authentic Happiness", Martin Seligman has a section entitled "Why Are Lawyers So Unhappy." As bad as he describes the legal profession, I could add more and more. For example, it's not like lawyers are paid to be nice.. They're paid to represent their clients' interests... How would you like to show up to work week after week when your job was foreclosing on people's houses? Or fighting to make sure that the family members of those killed or maimed by dangerous products or behavior don't get a penny more than the law allows? Personally, I would have made a lot more money if I would have done foreclosure work. Or represented (accused) rapists and child molesters. Or tortfeasing corporations. Sure somebody has to do that kind of work, but it is not for me. Part of what makes me not a good fit for the legal profession. It is important here to remember that not all law students and lawyers are the same. Most are liberal arts grads who went to law school because they were good with language and wanted to try to do something that would make a difference. Then the reality sets in. Typically only the top 5-10% make the big bucks (large firms don't even interview the bottom 90% -- and keep in mind that the bottom 90% of law students were likely in the top 10-15% of their undergraduate classes). Some of the bottom 90% do OK.. "OK" means doing tedious work at small/medium sized firms or for the government, and they struggle to pay their loans for decades. However, a significant number of law grads make less than they would have made had they not gone to law school, getting whatever temp work they can get, and struggling under impossible loans. As bad as I ruined my working life by going to law school, I am even more worried about the classes of 2007 - 11... there are far fewer jobs now, and these folks have much more debt. I worry about the psychological impact of struggling with these kinds of seemingly insurmountable debt & career issues, while dealing with all the other issues everyone deals with. How does one not get depressed under those conditions? As for the Pink book, right brainers might take over the rest of the world, but the most uncreative, left-brained, pessimistic, dispassionate, unfeeling, empathy-lacking, competitive types will continue rule the legal profession. I fully understand. I have several friends who are lawyers and was married to a civil litigator for many years-- believe me, I know what punishments lawyers are subjected to daily. Seligman is one of the first researchers who has nailed it, I believe. I hope he continues to delve into this area. Be on the lookout for a new blog post which might provide more resources and info. Thanks again for sharing your comments. I'm sure they will be helpful to other readers. More law-related posts to come. This is an excellent post. The advice "You WERE a lawyer. Get over it-- if you want to get a job elsewhere." is sage advice, but easier said than done. One huge downside for lawyers in many areas are the post-employment restrictions, which go well beyond what a typical court would enforce on a non-lawyer employee. They mainly are a big issue in "big law" areas, and in niche areas where many matters are likely to be related, often for years or decades. For example, a lawyer is automatically barred from working on a substantially-related matter forever, unless the former client consents. For non-lawyers, non-competes only arise where agreed to, and are usually only enforceable for up to 2 or 3 years. Usually courts require the party seeking enforcement of a non-compete or the doctrine of inevitable disclosure to show what confidential information would be used, and to prove the information can't be learned any other way. These restrictions on attorneys are "imputed" to all attorneys in a firm, so if an attorney wants to change firms, it is very difficult since the new firm won't be able to work on anything he/she ever touched at the old one. These two limitations, together, substantially restrict career prospects of many attorneys and make it harder for clients without repeat business to find someone really specialized in their niche. No similar "imputation" exists for non-lawyers subject to non-competes. For many lawyers at large firms or in certain niche fields, the conflicts issue essentially kicks them out of their practice area after so many years. Instead of starting over as a green lawyer in a new area, they simply leave the profession. The legal profession needs to narrow post-employment restrictions to what actually needs protection, and needs to put time limits on these restrictions. I think this mindset hampers lawyers when in business. People change jobs frequently nowadays - and often not by choice. This mindset of absolute loyalty and lifelong obligations is something they have to break out of when leaving law. A Hanging at the Beach House: Female Suicide or Murder?